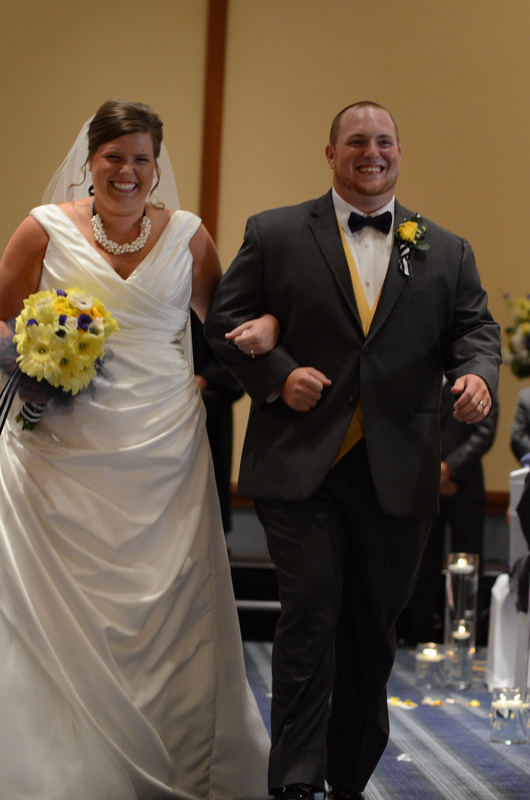 The time had finally come for us to walk down the aisle! 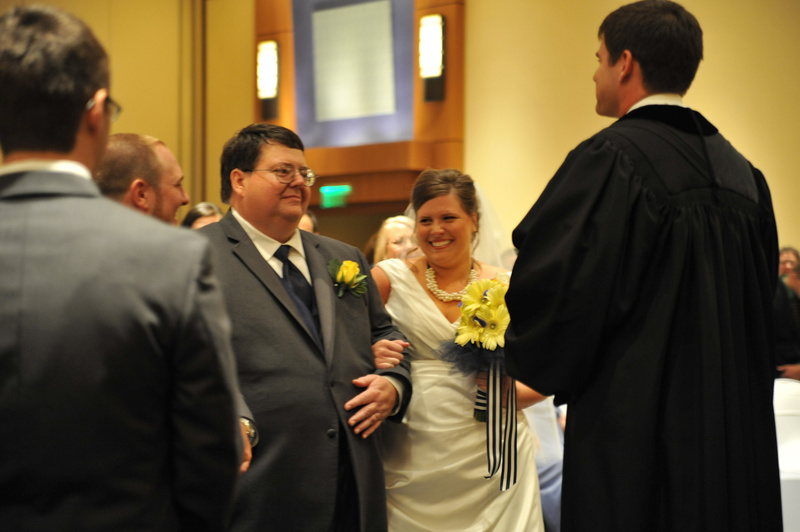 Our friends and family had been seated and everyone was in place to walk down the aisle. You can see by the photos that we both had such a good time all day long. Laughter ensued, whether anxiety induced or pure joy, probably a combination of both. 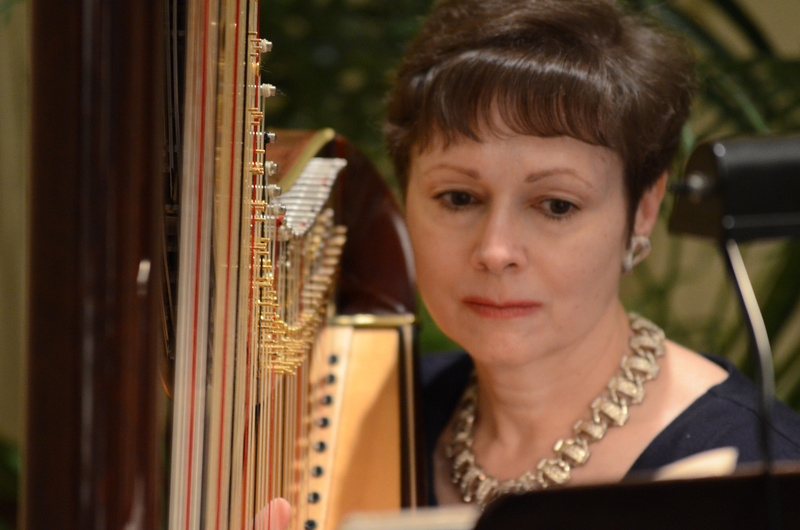 Here is Catherine, our harpist who played during the ceremony and the reception. 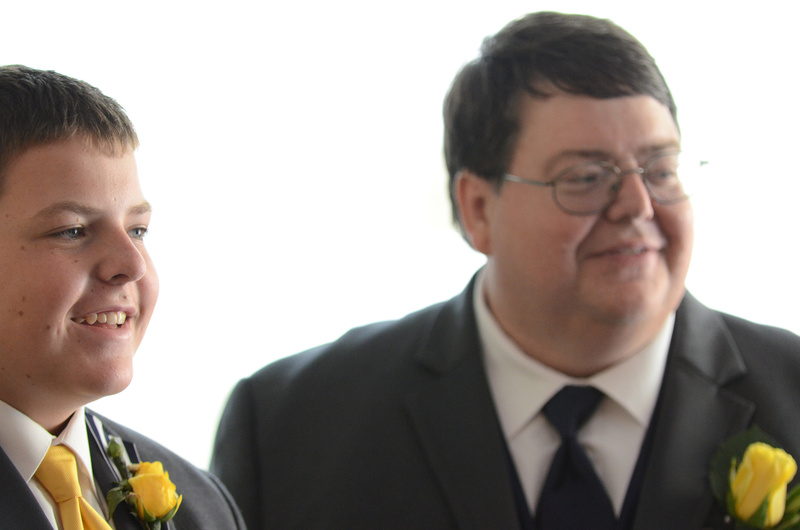 I love this picture of my dad and Rob before the ceremony. Rob was doing his ushering duties and therefore missed family pictures. This was the first time he saw me and I remember saying “what do you think”. Typical brother fashion, he shrugged his shoulders, smiled, and said pretty”. 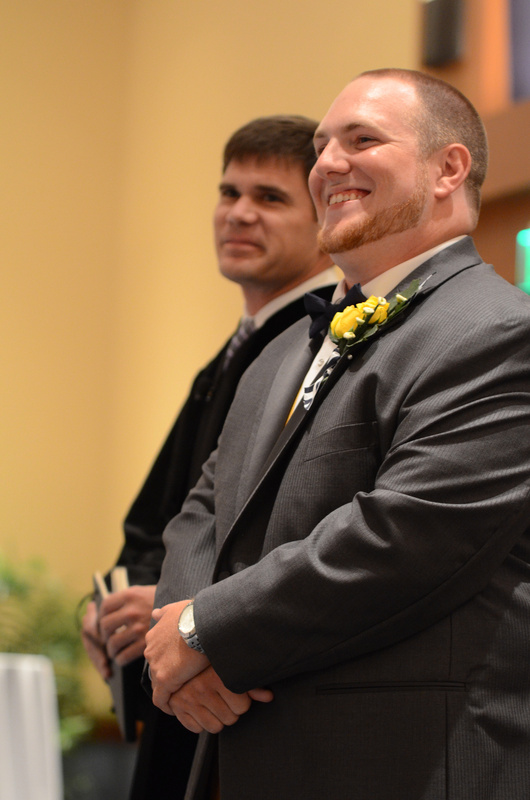 I don’t remember the sounds of the harpist during the ceremony, but I do remember the sweet words from my brother. 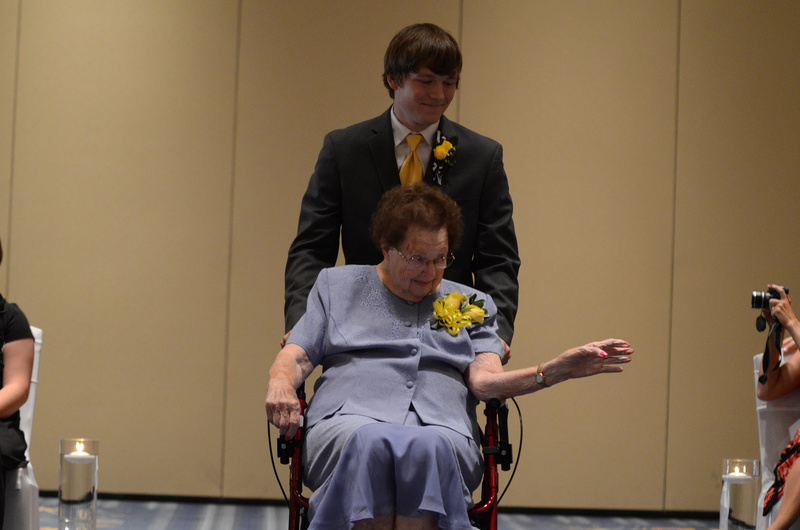 Love this picture of my Mama hamming it up rolling down the aisle in style. 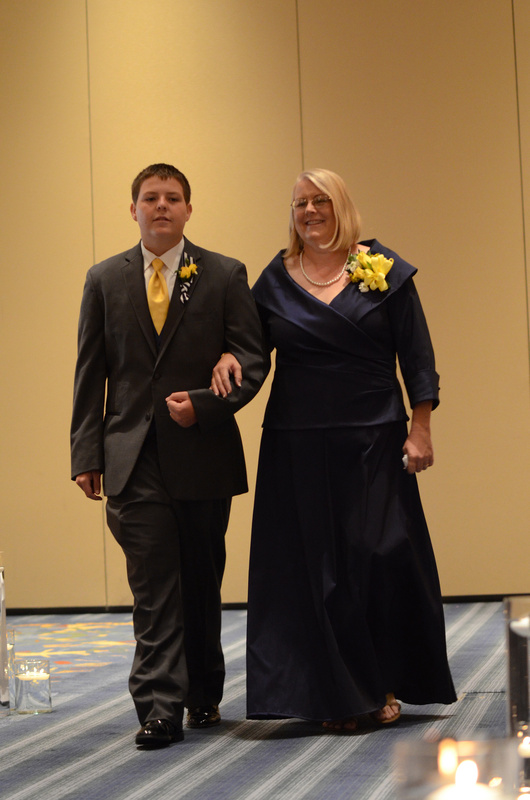 Didn’t my mommy look beautiful? Here we have a few of the first looks of Conner seeing me coming down the aisle. I am glad they got pictures because at this point I was clinging tight to my dad because I couldn’t see to walk straight due to the tears. 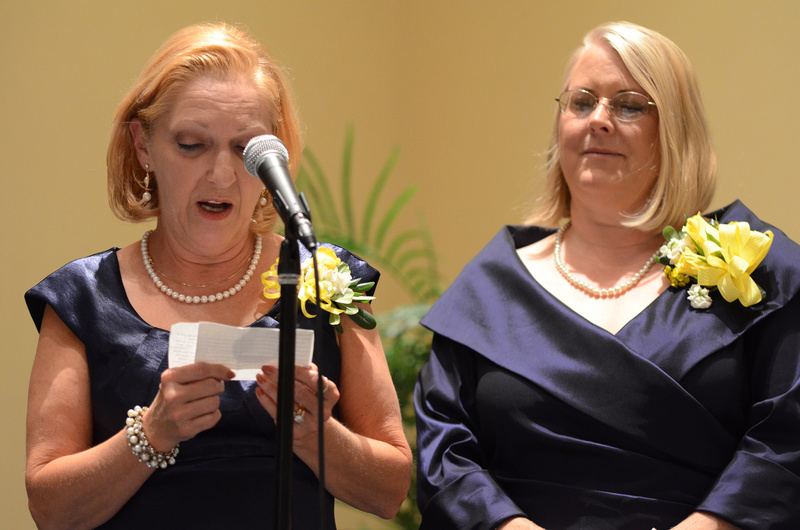 Here are our mom’s reading their scripture. This picture makes me laugh so hard! 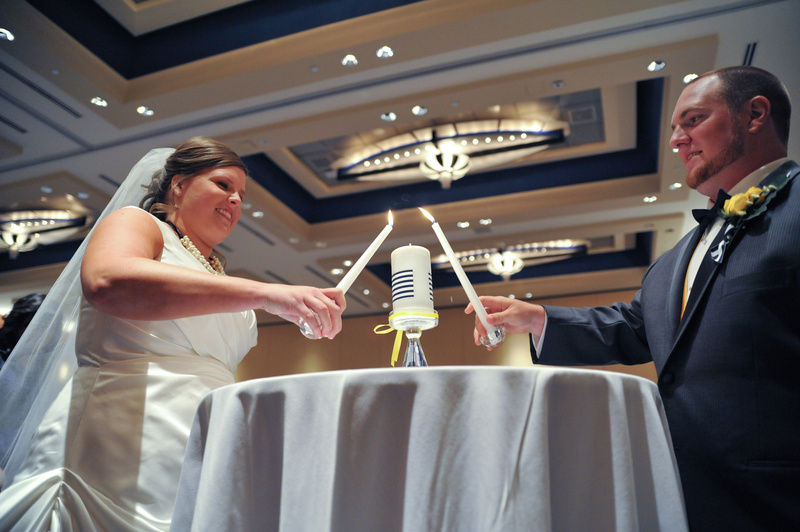 During the rehearsal Pastor Brad said, “don’t freak out if the rings won’t go on right away during the ceremony. No need to stress”. I remember slipping the ring onto Conner’s finger, and of course it did not go on smoothly. Conner made a face like “go figure it would happen to me”. 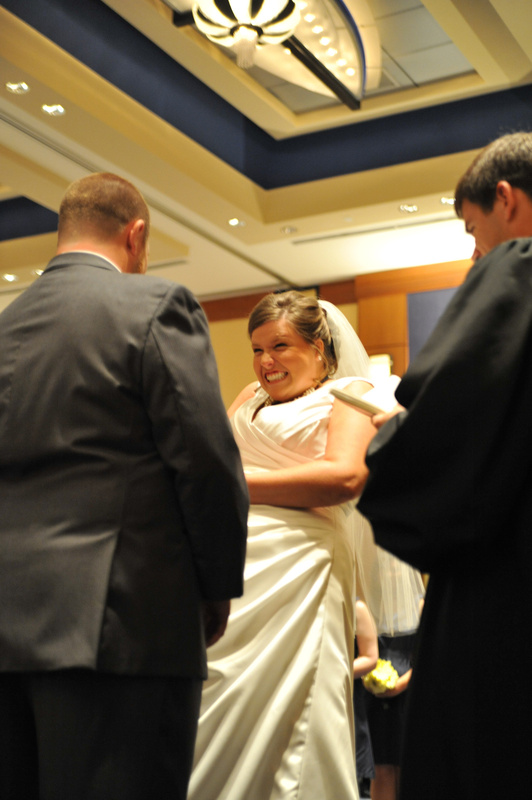 I can’t stop laughing at my face trying to get the ring on his finger before he freaked out! 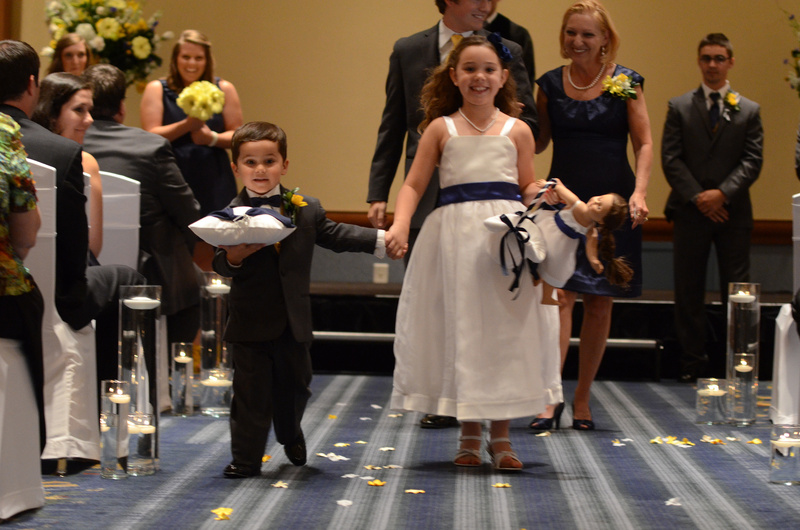 Cutest ring bearer and flower girl ever! 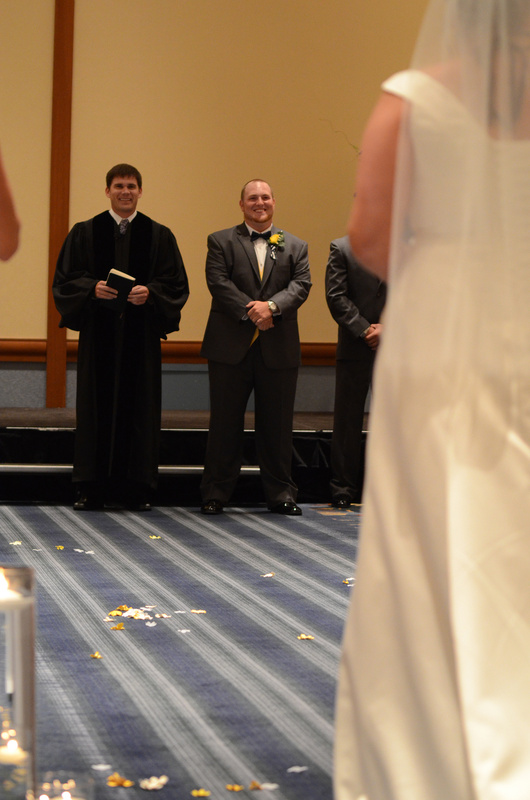 They ran down the aisle at the end of the ceremony. This entry was posted in Uncategorized, Wedding and tagged ceremony, wedding. Bookmark the permalink.